RESONA.SA is a manufacturer of Natural Sprayed Cork, a coating of high performance, easy and economical application, with a high performance in its execution and respectful with the environment that adheres to virtually any surface. Property by which, the coating allows the passage of steam of water from the facing that covers towards the outside. It prevents the accumulation of moisture between the natural cork and the support on which it is applied. It avoids the natural cork taking off due to the pressure exerted by the humidity. Solves problems of wet touch of walls, prevents condensation on the wall. Cork has great properties against extreme temperatures, both hot and cold, leading to a cooler environment in summer and pleasant in winter. Softens extreme temperatures, both cold and hot. Removes the cold or hot to touch feel of the surface covered. 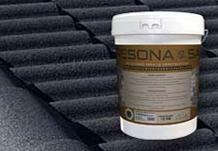 Applicable in nautical, interior and exterior. 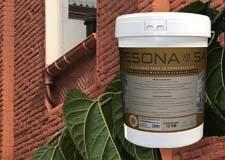 Resona.sa natural projected cork is a product that saves energy, non-polluting, non-hazardous and non-toxic due to its formulation with high quality resins based on water. . Formulated with high quality resins that allow our natural cork projected adhere to virtually any support, accompanying him on his movements without cracking or peel off. Our R+D+i department constantly works on the specific improvement of each one of the Natural Sprayed Cork varieties, so that they present maximum efficiency and the best performance in their application. Natural Sprayed Cork will save you both, execution time and money. 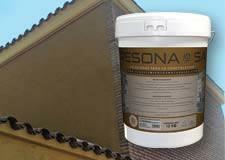 Coating and rehabilitation of facades and walls. 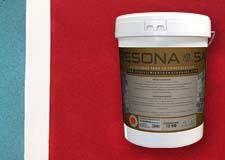 Coating with specific formulation to increase its efficiency as a thermal aid. Coating and rehabilitation of interiors. Unique in the market applicable by trowel. Coating for both indoors and outdoors, walkable on foot. Anti-slip S3. 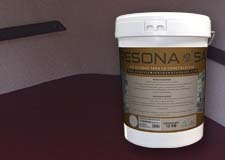 Our formulations include resins formulated in water base, so that the application of the product does not leave persistent and annoying odors. 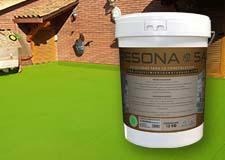 We have varieties applicable both for indoors and outdoors, all with specialized formulations with resins and dyes of very high quality. Cork has sound dampening properties, linked this to the texture of peaks and valleys, also reduces reverberation in enclosed spaces. We have a wide range of colors that will satisfy the ornamental needs of interiors and the adaptation to the environment of facades and roofs. In our eagerness to give solution to the different types of coating that our Client may need, we have developed a range of products that covers each of the most frequent particular situations: Sprayed Cork ROOFS Ideal for the coating and rehabilitation of roofs, roofs and roofs. WATERPROOF, Guaranteed for 10 years !! RESONA.SA professionals at your service.